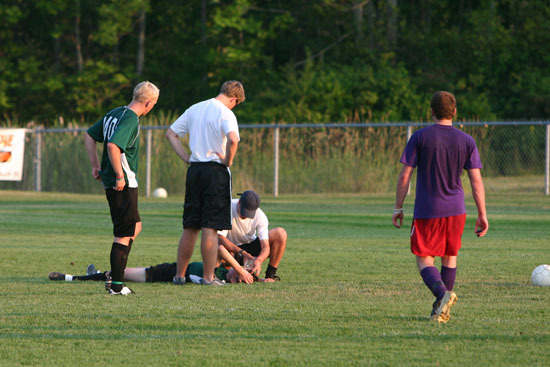 Functional Movement Testing is a Key to Concussion Management There is no definitive way to determine when its OK to return to play following a head injury. Even “specialists” cannot say for sure when the time is right. It’s a guessing game. There is no film, X-ray, or MRI to indicate all is healed. So, what does a physician do? They take tests and make an educated guess. A critical test that can help establish readiness for return to play is functional movement. Combined with neurocognitive and other clinical testing, the ability to monitor functional movement (normal vs delayed reaction time), along with physical changes in vital signs, can be exceedingly useful. To do so, a normal baseline taken prior to concussive injury is needed so that a comparison can be made following a head injury. How it works: The TRAZER® system takes an objective and holistic approach to concussion management. 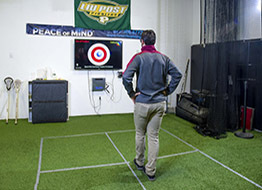 It simulates game play, gradually raising the heart rate to game levels, while assessing the visual, vestibular, cognitive, neuromuscular/musculoskeletal and cardiorespiratory systems—and compares those results to a pre-injury baseline. It’s critical to have a TRAZER Baseline Concussion Assessment done pre-season. Testing takes less than ten minutes. It’s fun, simple, and convenient. If the athlete has had a Baseline Concussion Assessment before an injury occurs, then immediately following a head injury, a TRAZER BESS Test is administered which provides comparative data which can be used to determine a specific recovery plan. Next, a structured return-to-play protocol is followed. Finally, a return-to-play TRAZER assessment is completed to determine if the athlete has fully recovered his movement/motor skills and is ready to return to play. 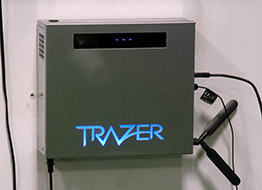 The TRAZER simulates game play and measures movement performance in up to eight directions to detect deficits. Contact us to learn more about TRAZER concussion baseline assessments or to schedule an appointment.